If you're a GM dealer, you've been bombarded with information about the SFE Reputation Management requirement. We want to make sure that information is accurate and helpful – because you can totally believe everything you read on the internet, right? We asked our dealers what their concerns were, and the most often-cited ones are below. Get the facts. Then choose a partner that delivers results. Myth: Dealers saw no real change in reviews on third party sites. Fact: Using our program in 2013, the average dealer saw 3rd party site reviews increase by 105%, and their average rating increase by 18%, from 3 stars to 3.5. 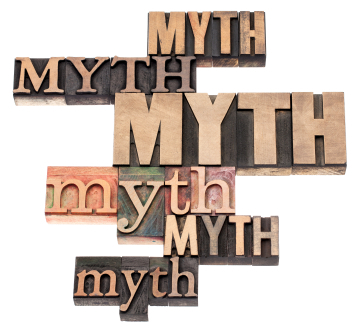 Myth: Another survey negatively affects CSI scores. Fact: GM says no. In fact, dealers now have a second chance to make things right before the CSI survey, so CSI scores can actually increase. Myth: Surveys encourage more negative reviews. Fact: Happy customers have been 19% more likely to consent to having reviews published. Myth: There is no need to respond to negative reviews. Fact: Dealers who allowed us to respond experienced a 200% faster increase in star rating and 225% faster increase in referrals compared to those in the program who did not use our response service. Myth: Social media doesn’t affect reputation management. Fact: Potential customers turn to social media for recommendations from friends and are influenced by how dealerships interact with customers on social media. The average dealership that chose our optional social media service in 2013 generated far more publicity, with an increase of 163% in their mentions on social networks, blogs and forums. Myth: There is no way for other customers to know when a problem with one customer has been fixed. Fact: Dealers now have a chance to re-survey customers and invite them to update their initial responses. Myth: Dealers with another vendor’s website have to use their reputation management service. Fact: Naked Lime GM Reputation Management is compatible with any website or DMS. Have a question we haven’t answered yet? Visit repman.nakedlime.com for live chat sessions, webinar registration, and detailed package information. You can also call 855.NKD.LIME to speak with a representative directly.